Ramon Margalef Prize in Ecology was created in 2004 by the Catalan Government to recognize people, all over the world, who have distinguished exceptionally in the field of ecological science. The award honors the memory of Professor Ramon Margalef (Barcelona, 1919-2004), who made a decisive contribution to establishing modern ecological science, to the point where he is regarded as one of the world’s leading figures in the field. This entry was posted in News on July 20, 2016 by Rosa Casanovas. 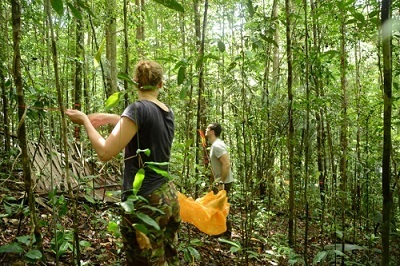 Lore and Leandro are two PhD students studying French Guiana’s forests for the Imbalance-P project. Want to know more about them, their research, and what is like living and doing science in French Guiana? Then, visit their blog here! This entry was posted in News on July 1, 2016 by Rosa Casanovas. Workshop – Nutrient limitation on land: how accurate are our global land models? Philippe Ciais, Josep Peñuelas, Sara Vicca and Daniel Goll in collaboration with Chinese colleagues, organised a workshop entitled: Nutrient limitation on land: how accurate are our global land models? 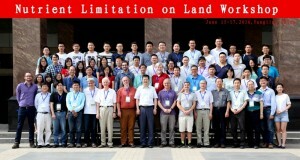 The workshop was hosted by the Northwest Agricultural and Forestry University from the 15th to 17th June 2016 in the Yangling, Shaanxi, China. You can access the program here.